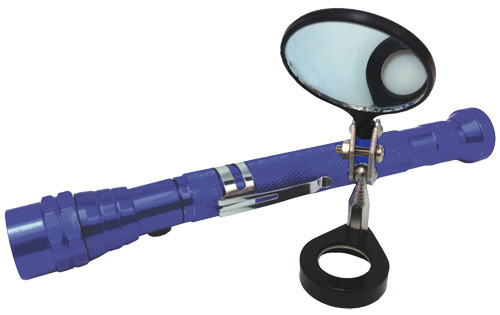 The Extendable Magnetic Flashlight Kit includes an innovative inspection mirror that connects magnetically to the lighted end of the EMF and easily adjusts to any angle. A handy pocket clip keeps your EMF where you need it when you need it! The grip end of the EMF has a new extra powerful magnet that holds it securely, even to a vertical surface. Oblong Mirror to provide more viewing area as well as a flat side for stability. 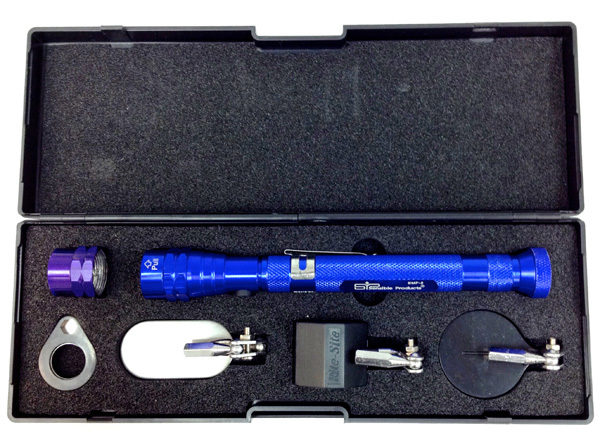 Interchangeable UV Head Makes Your EMF a Powerful Leak Detector! Ideal for all AC and fluid system applications. 3 high-output UV LED's brilliantly illuminate all UV dyes and materials. Pinpoints hard-to-diagnose trouble spots during your inspection process. Deluxe Carrying Case Designed to Hold & Protect All New Components Plus Your Current EMF! An essential tool for all technicians.